From their first single that asked the ever important question, ‘Tell Me (what you want)’, Dru Hill has been giving fans what they need in the form of numerous classic love ballads and infectious dance songs that have gained him a countless fan base the world over. 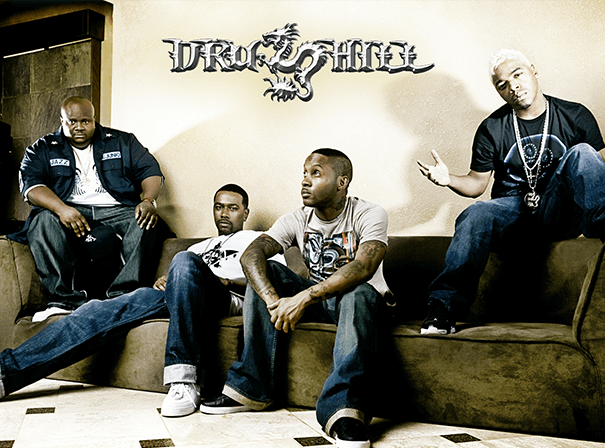 Named after a popular Baltimore park, Dru Hill is comprised of Tamir Ruffin (aka Nokio), Mark Andrews (aka Sisqo), Larry Anthony (aka Jazz) and Antwuan Simpson (aka Tao), the newest addition to the group replacing original member James ‘Big Woody’ Green who left the group to pursue a solo career. In a career that spans nearly two decades, Dru Hill, under the steadfast leadership of their long time and trusted manager Kevin Peck, have accomplished literally everything an R&B/Pop group can dream of achieving. From having a string of Top 40 #1 hit singles, multi-platinum selling albums, movie and television appearances, headlining sold out global concert tours to selling an eye-popping 30 million records worldwide, their star power has never been in question. With a music library fit for royalty that boasts some of the biggest selling and most popular R&B songs of all time including ‘Tell Me’, ‘5 Steps’, ‘In My Bed’, ‘Never Make a Promise’, ‘How Deep Is Your Love’, the group’s music has helped tremendously to bolster the sale of movies and soundtracks with their songs often having been the lead single for block buster films like ‘Eddie’ starring Academy Award winning actress Whoopi Goldberg. Busier than ever performing at sold out venues around the globe for a whole new generation of adoring fans, Nokio, Tao, Jazz and Sisqo continue to push boundaries and spread the Dru Hill fame.